Welcome to the Tampa Honda Automotive Finance Center! Tampa Honda strives to make all aspects of buying a car fun and easy, from the test drive all the way through when it’s time to talk money. Your Honda dealership in Tampa is proud to offer a highly trained finance team that is easy to work with and which strives to find the best financial solutions for each of our customers. The Finance Department at Tampa Honda knows how to build a finance package around your budget and needs. While excellent credit always helps, our staff is experienced in assisting and finding financial solutions for customers with all variations of credit standing. We can help you get pre-approved for a loan and into a new or used vehicle easier than you might think. The Tampa Honda finance team offers online tools such as getting pre-approved for a car loan before even visiting the dealership that will help you save time and anxiety once you are here. Plus, other online tools such as an online Payment Calculator and a tool that will Value Your Trade will provide you with a rough estimate of how affordable a new Honda vehicle can be. 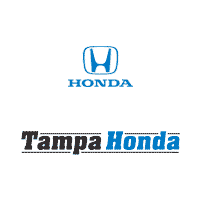 Tampa Honda also always keeps our current Lease & Finance Specials listed online so you know what type of financing or leasing opportunities are available before you even take a test drive. Why wait? Start the process now by completing our secure online credit application. The Tampa Honda finance team is here to help, so please feel free to give us a call (844) 354-4895 with any questions that might not be answered on the website.